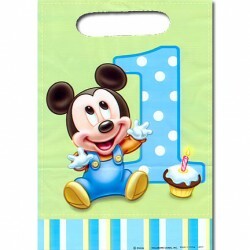 Mickey 1st Birthday Party SuppliesThere are 24 products. 6/PKG, Measures 12 in. 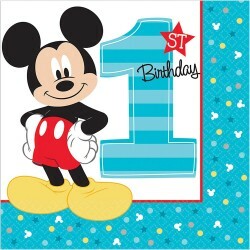 Mickey 1st birthday balloons helium quality. 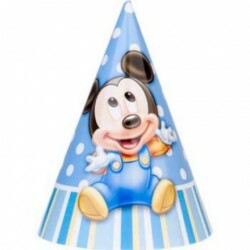 Party hats are great fun when the kids are young, so check out the Mickey's 1st Birthday Party Hats and get them on your son and his friends before they get too old to wear them. These hats will provide adorable photo ops, so get them now and cherish them forever. 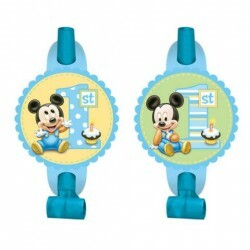 Mickey Mouse 1st birthday cups, 8 pack. 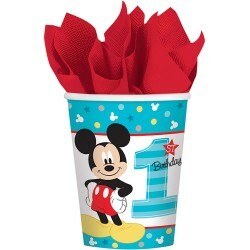 With all of the fun your guests will be having at your baby boy's birthday party, you'll want to keep them hydrated by passing out our 9 ounce Mickey Mouse 1st Birthday Cups. 8 per packet of 9" plates. 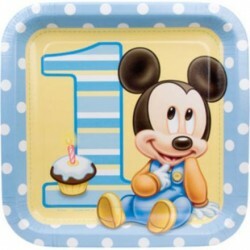 Most people forget that Mickey was once a little baby. 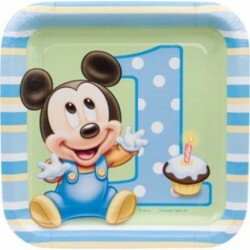 Invite baby Mickey to your child's special celebration by spreading our 9" wide Mickey Mouse 1st Birthday Dinner plates around your table. 16 pack of 13 inch napkins. 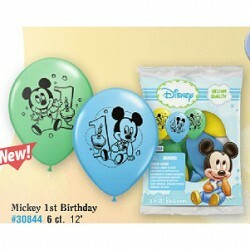 Mickey loves icing, so let him help you clean up that sticky mess on your little guy's face. 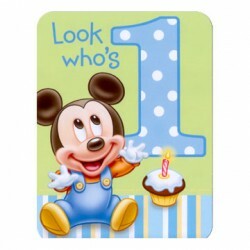 Include our Mickey Mouse 1st Birthday Napkins at his upcoming party. 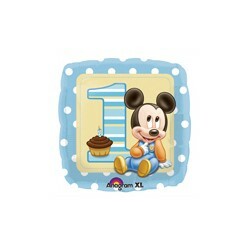 This 16 pack of 2ply napkins is decorated with a polka dot border, a cupcake, and a striped #1. Baby Mickey appears in the center. 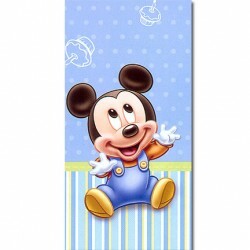 1/Pkg - Official licensed Mickey Mouse tablecover measures 54in.x102in. Made of plastic. 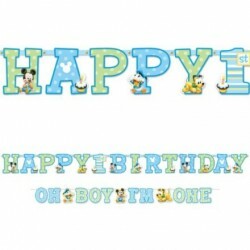 Includes: 1 Large Banner 10 7/10" with Letters 10"; 1 Mini Banner 6' with Letters 4"